The list leads from north to south beginning just north of Los Gatos and ending at the Santa Cruz wharves. The list leads from south to north beginning at Felton Depot and ending at Boulder Creek. This list leads from the private sidings at Boulder Creek to Waterman Switch near Castle Rock State Park. Passenger service only went so far as Dougherty Mill #2. The Ocean Shore Railroad was a line constructed along the Central Coast from San Francisco to Santa Cruz...at least that was the plan. First operating in 1905, the northern division never went further south than Tunitas near Half Moon Bay. The southern division, meanwhile, never made it out of Santa Cruz County. The Coast Line Railroad, on the other hand, was Southern Pacific Railroad's answer to the Ocean Shore. It was founded in 1905 to span the same stretch of coast as its rival, with a loop-spur from Pescadero that was meant to connect Boulder Creek to the coast. The 1906 Earthquake ruined the plans of both organizations. The Coast Line eventually merged back into SP in May 1913, selling its undeveloped land. The Ocean Shore still lives today as a corporate entity but its track was taken up in the mid-1920s after a decade of the San Vicente Lumber Company using it to haul lumber from Scott Creek. 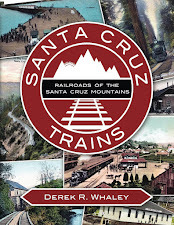 The Santa Cruz Railroad began operating in 1875 between Pajaro and the Cherry Street Depot. It was merged into the Southern Pacific in 1881 and more stops came about over the years. A short-line railroad into the heart of the Aptos Creek basin where the Loma Prieta Timber Company and the Molino Timber Company operated extensive logging operations. The railroad was operated by the Southern Pacific Railroad to Loma Prieta, after which local narrow-gauged trains operated. A private line also ran from Molino. Built in mid- to late-1871, the Coast Division mainline began life as the Pajaro Branch and then the Salinas Branch until Southern Pacific trackage reached such an extent that divisions were required. This trackage has always been standard-gauge and always owned by the Southern Pacific Railroad. Southern Pacific waited for the Monterey & Salinas Valley Railroad to go bust before they moved in and re-arranged this branch to their liking. The original route between Monterey and Salinas was completed in 1874. Southern Pacific bought it out in 1880 and redirected the northern end of the line to Castroville, abandoning the portion between Bardin and Salinas. An independent narrow-gauged railroad built to connect Claus Spreckles' factory at Watsonville with his factory at Spreckles. It ran along the Monterey Coast between the Pajaro River and Salinas River and connected many of Spreckles' beet farms with his primary facilities at either end of the track. The line was closed in 1929 and sold to the Southern Pacific Railroad, although the latter never used the line. 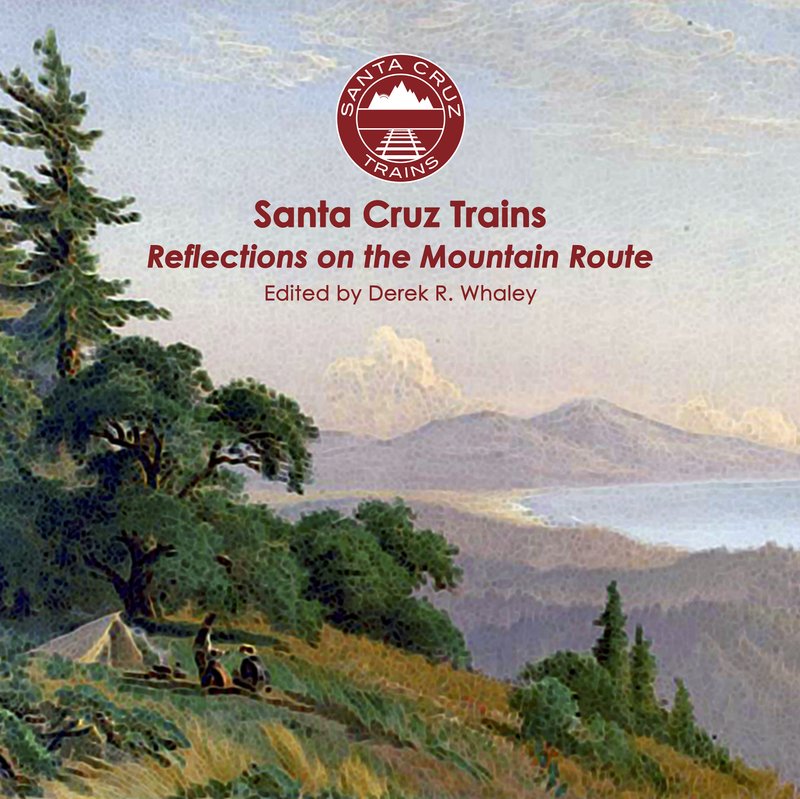 This short-lived independent railroad operated between Chittenden and the San Juan Valley from 1907 until 1930 as the only subsidiary constructed by the Ocean Shore Railroad in its failed effort to build a route between San Francisco and the Sante Fe Railroad to the south. The original company went bankrupt in 1912 and reincorporated as the California Central Railroad, which soon abandoned all ambitions beyond the San Juan Valley.